My fantastic prize from lovely Christina arrived yesterday. 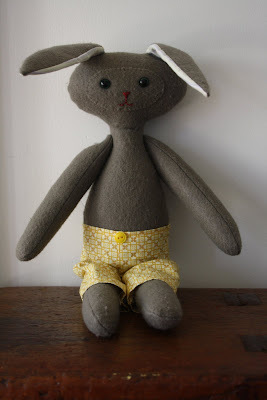 A gorgeous collection of crafty goodness but the star is this cute little softie made by Christina herself. Isn't she super clever? Elsa has called him Buggs and he is already very much loved. Thanks Christina. You made our day! Oh she is so sweet! Lucky you!